DE | 1999 | 86 min. DE, US | 1992 | 26 min. DE, TW | 2012 | 83 min. 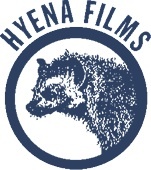 In 1984 Monika Treut and award-winning director and cinematographer Elfi Mikesch founded Hyena I/II in Berlin and Hamburg, a film production company, naming their company after their favorite animal. Together they produced the collaborative SEDUCTION: THE CRUEL WOMAN. In 1992 TREUT founded Hyena Films, Hamburg.